If you follow me on Instagram, then you’ve likely seen/heard me mention that as a Christmas gift to each other Hasani and I are re-doing our entire master bedroom closet. This project is long overdue! Our current closet is a hot mess a complete disaster, lacking functional storage and zero organization. When we re-built our home in 2013 after a house fire, we decided to make some improvements to our original 1950’s floor plan. We added a small walk-in closet and bathroom on to our master bedroom. We love our new master bedroom closet, our old closet as a small 5 foot wide reach in closet that was tiny and too small for two adults. Our closet now is 5 x 8 about the size of a small bathroom (the exact size of our closet is 61 deep by 95 wide. Our plan after moving back into our home was to create a custom closet, but life gets in the way and we never got around to it, plus the task of designing a closet at the time felt daunting. Instead we brought in two storage towers and Hasani added one clothing rod to each side of the closet. Simply put there wasn’t enough storage for our clothes both folded and hanging clothes. 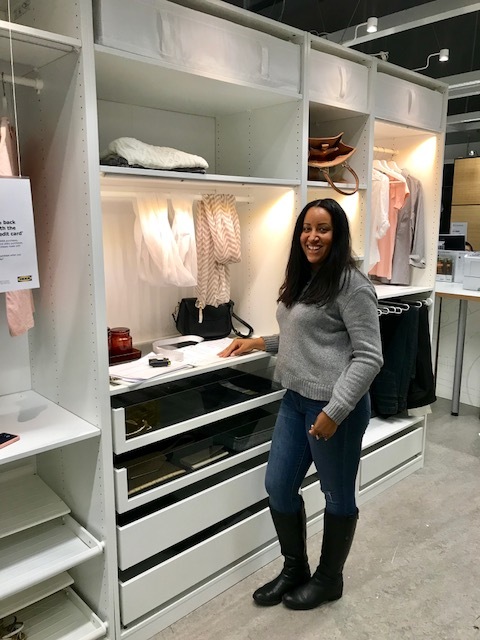 After searching for closet solutions, I quickly landed on the IKEA PAX closet system, I loved all the different configurations for clothing rods, drawers, shelves and accessories. The affordable price point makes The pretty accessory drawers were a huge selling point for me! Having a special place in my closet to hold sunglasses, jewelry feels like a dream. I also love that this closet system has been around for ages, meaning when we want to update / change a part of the closet, a quick trip to Ikea makes it possible. While on the hunt for IKEA PAX closet inspiration, I came across some amazingly organized closets. They gave me major closet goals! With a design plan in mind for my closet, I enlisted the help of my best friend Sarah to help me maximize our closet to its full potential. 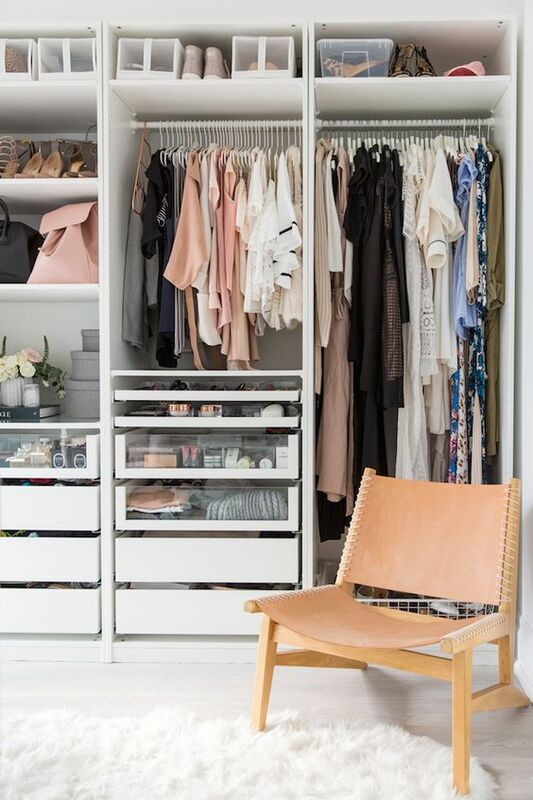 She has amazing closet design expertise and she can rock an IKEA Pax closet system like nobody can! She’s had several different configurations of a PAX closets in her own home + is an organization queen! Sarah and I talked through my design ideas, we both agreed that a gallery walk-in closet made the most sense for our space. The plan is for Hasani and I to have our own individual closet sides, that a geared toward our personal needs. I prefer to have most of my closet folded (jeans and sweaters), with blouses, shirts and dress hung up. Hasani prefers to have most of his hung up with a few clothes folded. 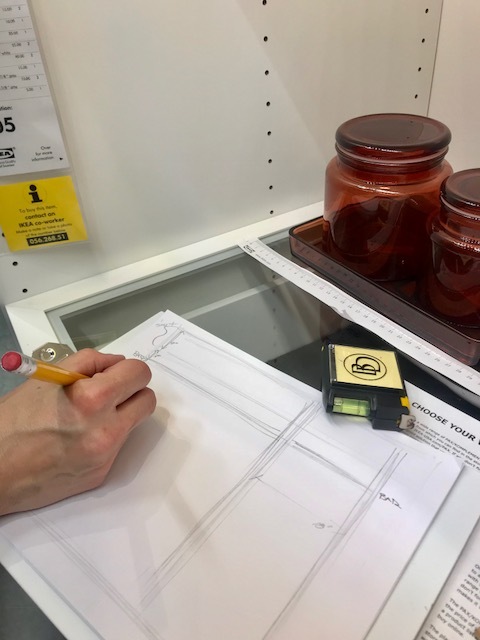 Sarah and I visited IKEA together to see the closet in person and confirm the design plans for our space. If your planning to add a IKEA PAX closet to your space, I highly recommend visiting the store before buying, to see all the design possibilities in person. I’m a super visual person, so seeing the PAX closet in action really helps me solidify the design plan. In addition to visiting in store, I used the online closet planning tools to configure my closet and add all the items on a ‘closet shopping’ list. On Hasani’s side of the closet, they’ll be two hanging rods and lots of open shelves on his smaller PAX Frame and four drawers. 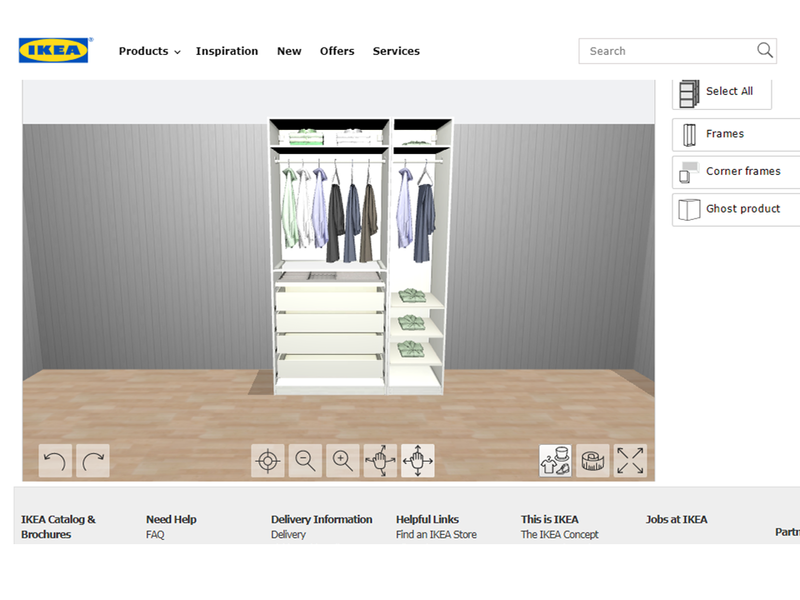 Below is a screen shot of the design plan for my side of the closet. To take maximize our closet, we’re opted to go with the 92 inch in height frames, yay for no wasted space. On my side, I’ll have one 39 inch frame and one 19 inch frame, that will total 59 inches wide. The upper shelve on my frames will be reserved for hats and sweaters. I’ll have two hanging rods one for blouses and t-shirts and the smaller clothing rod for dresses and coats. I’ll have a total of four drawers + a large pull-out accessory drawer. I might be able to fit one more drawer on my side so we’ll see! On the side with dresses I’ll have three shelves to hold my heels. I’m hoping to use one of my large drawers to hold my other shoes like flats and tennis shoes out of sight. Now for the scary part, sharing how our closet looked just a few days ago before cleaning everything out and purging all the extra junk and crap pilled up in our closet. Brace your selves its a hot mess express! On Friday, Hasani and I headed to Ikea to pick up all the items to build our PAX Closet, which was so exciting! Over the weekend we started building our closet and hope to have everything built along by mid week. I’m so excited to walk into 2019 with a clean organized closet, where everything has a spot vs. the crazy closet mess we’ve dealing with for ages. I’ll be back soon with more closet updates! What’s your closet situation? 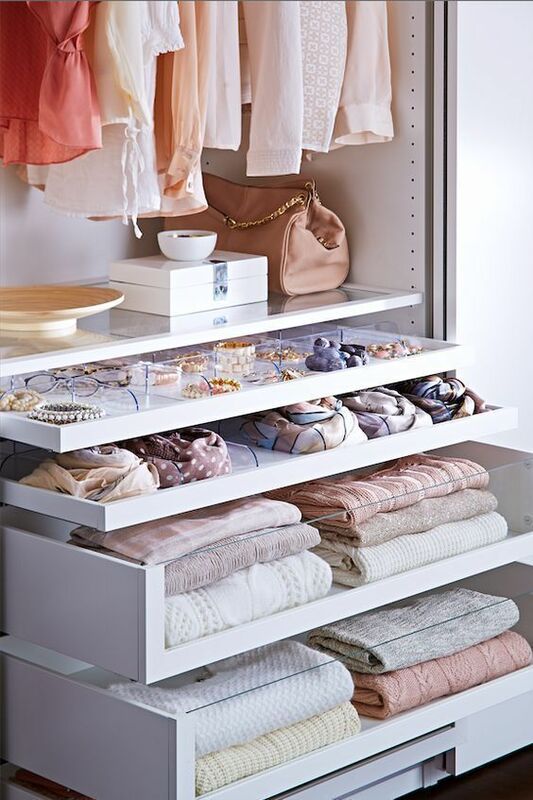 If your closet is perfectly organized, how do you keep it that way? Spill all your secrets. Hello! Can you relive there’s officially only two weeks left until Christmas! Every year I safe I’m going to shop early for all the Christmas presents and just sit back and enjoy! 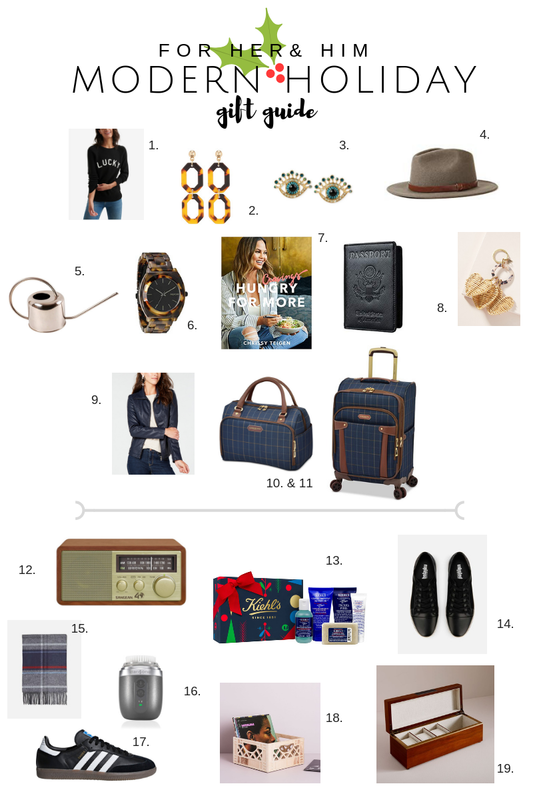 This year was not one of those years, I’m finally wrapping up my Christmas shopping and wanted to share my Holiday Gift Guide. We’re paring down our Holiday gift giving to each other keeping it simple and focusing less on gifts and more on creating memories as a family together. Last night after Avery’s Holiday School performance, I made a mini Christmas Bucket List. My list includes walking tour of houses with love all lit up at night with hot cocoa in hand, family movie on Christmas Day (we do this every year and love it) Making cookies with the family on Christmas weekend and baking pies on Christmas Eve. We’re also participating in Gift Drives during the Holidays and gift kids presents from their wish lists. Under our tree we won’t have a million presents instead we’ll have memories we hope our kids will cherish forever. Below is a paired down gift guide for everyone of your list Her + Him and Kids and Teenagers. I’m working on a few blog posts, I hope to end the year with on Katrina Blair, but if I don’t get around to sharing, I’ll be back to posting full-time in 2019 and I’m always on Instagram and IG Stories sharing!! You can find me on Instagram @TheKatrinaBlair Happy Holidays!